Day 2 of our "tempeh sandwich a day"
A tempeh twist on a classic ploughman's: pickle, vegan cheese, extra tomatoes and grilled tempeh with a light dusting of pickle during cooking to seal in that delicious flavour. 4. 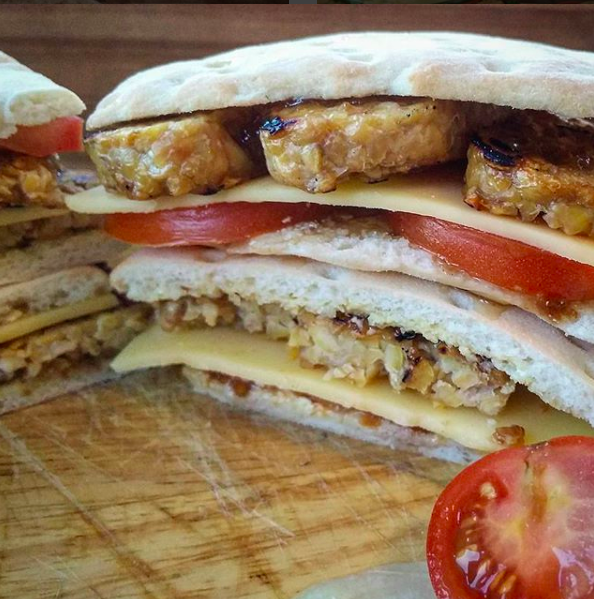 50g of tempeh should give you two sandwich thins, enjoy.